Another mashup using the acapella of the month, this time from last month August. 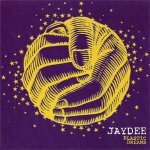 As container track I choose a bootleg remix from Jaydee with Plastic dreams. Jaydee is the alias of DJ and producer Robin Albers schuil. During the 90’s he worked as DJ at the AVRO on Radio 3. He was one of the people behind the formation Sunclub. While Plastic dreams never has become a big commercial hit, it was a major track in de club/dance scene. The dark underground sound still viberates, making this an unforgetable major house classic. The bootleg remix used emphasizes the key elements of the original track, making it an even stronger track that perfectly fitted in the mashup with as result: Just a little plastic dream. 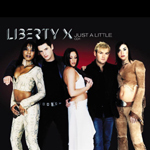 This mashup is in both a Club Mix and a Club Edit available, since the used bootleg has a long intro.